The leader of a South African opposition party Monday threatened to seize white-owned lands. Julius Malema, the head of the Economic Freedom Fighters (EFF), the third largest party in parliament, spoke to supporters after appearing in court in the northeastern city of Newcastle. ‘‘White minorities be warned! We shall take our land. It doesn’t matter how,” said Julius Malema outside the magistrate’s court. Malema was appearing in court to answer to charges of inciting his supporters to take over white-owned land. His case has been postponed to Dec. 7. In 2016, he reportedly told supporters that whites could not claim ownership of land in South Africa because it belonged to native Africans. During his televised address on Monday, Malema claimed that white South African settlers had killed hundreds of Blacks who had refused to be removed from their land. ‘‘We are not calling for the slaughtering of white people at least for now,’’ he said amid cheers from his supporters. Land is a highly contentious subject in South Africa 22 years after the end the racial segregation known as apartheid. Malema said South Africa’s economy was still controlled by white capitalists despite the end of apartheid. His EFF, which broke away from the ruling African National Congress, has been championing for land expropriation without compensation. AfriForum, a white supremacist organization representing the country’s white minority, has on several occasions condemned Malema’s comments accusing him of inciting hatred against whites. 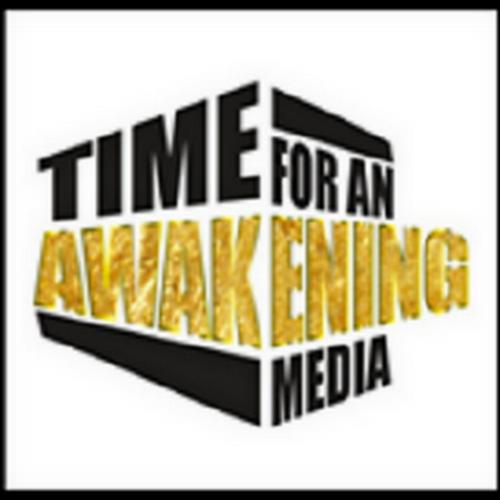 “Time for an Awakening” for Sunday 5/21/2017 at 7:00 est After a recap and advertising of two upcoming community events, there was open forum conversation with the listeners. 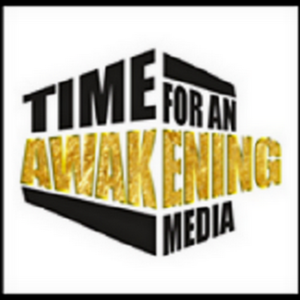 “Time for an Awakening” for Friday 12/22/2017 at 8:00 PM (EST) 7:00 PM (CST) guest was Historian, BaBa Ashra Kwesi. “African Spiritual Science in the Christmas Holiday” was the topic of dicussion. According to the U.S. Census Bureau’s most recent survey of business owners, there are 2.6 million Black-owned businesses in this country. While the growth is encouraging, gross receipts for all minority-owned firms are still well below the average gross receipts for non-minority-owned firms. A huge problem is that despite a collective buying power of $1.3 Trillion dollars, very little of that money stays in Black communities or is spent on Black-owned businesses. Brooke Stephens’, author of “Talking Dollars and Making Sense,” research has found that a dollar circulates in Asian communities for 30 days, in Jewish communities approximately 20 days, and in white communities 17 days. In contrast, a dollar circulates in the Black community only six hours. According to Maggie Anderson, just 2 cents of every dollar an African-American spends in this country goes to Black-owned businesses. In her book, Our Black Year: One Family’s Quest to Buy Black in America’s Racially Divided Economy, Anderson recounts her experiences patronizing Black-owned businesses while highlighting the challenges many Black businesses face (Black businesses lag behind all other businesses in every measure of success). Research has found that if higher-income Black consumers spent at least $1 out of every $10 with Black-owned businesses, it would generate one million jobs for African Americans. Knowing how much of an impact supporting Black business can make, how do we go about supporting them? There are several black-business apps and online directories that will help consumers locate black businesses. They provide real-time information on businesses ranked by referrals and reviews. 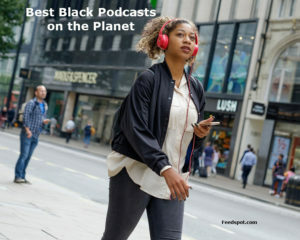 There are also several Facebook and LinkedIn Groups dedicated to promoting black-owned businesses and providing a platform for entrepreneurs to network. Social media not only gives us access to many opportunities that might go missing in a normal online search, but it allows us to spread the word to like-minded individuals with literally the push of a button. Facebook, twitter, and Instagram alone account for at least two hours out of most of the population’s time every day. This is free marketing, a reliable review from a trusted source (yourself) to people in your circle, and it all it takes is a tweet or repost. There are popular hashtags being promoted to show support of black-owned enterprises. This step will take a little bit of effort but it’s worth it in the end especially if you happen to be a business owner. Your city’s Chamber of Commerce or The National Black Chamber of Commerce can be used to find local business and who owns them. Most Chambers’ membership list can be searched for free. However, if you’d like to join there is usually a fee. The Chamber usually holds meetings and networking events where business owners get together to network and build relationships. Partnerships, business relationships, and referrals are common among members. No one is saying buy everything black and only black. As ideal as that would be, it’s highly impractical. If you could find a few items that you could buy on a regular bases from a one or more local shops or online, you could save money on gas for one and you’d be making a difference. But keep in mind, it’s never a bad idea to go out of your way to support black-owned businesses, even if it means taking a long drive. Think about some things that may be more specific to a black business. Whether seasonal or on a regular basis there are usually some things that may be more difficult to find if you’re an African American. Certain hair product, foods, cultural items and even services aren’t very easy to come by. Black businesses offering goods and services specific to the diaspora, rely one hundred percent on black consumers. By taking a little time to research or ask for a referral for an African American doctor, you can make one decision that will support not only a black business but the community as a whole. We all look for the best doctor we can find black, white, or other. If we want our kids to grow up and be doctors one day, we should hope that they’d have some patients as well. Just a quick FYI, African Americans make great doctors too. Just ask Ben Carson. Well, maybe not. For many households, there usually comes a time when a babysitter, petsitter or a caregiver for our elders is needed. There are plenty of neighborhood daycares starting up as small businesses. You can also find reputable caregivers and senior homes owned by minorities. Young college students are in dire need of part-time work on weekends and nights. Many have gone into business for themselves as sitters. Passing off your children or pet for a few hours to a responsible young adult would make both of your lives easier. How many times have you gone to Midas, called a tow truck, or needed repairs around the house? According to the US Census Bureau, 20% of black-owned businesses are in the repair and maintenance industry. he purchase anyway. So, why not give the money to a business that needs it and will make a difference? The say, “The journey of one-thousand miles begins with a single step.” If that’s true, 43 million African Americans taking one step in accord with one another can cover a lot of ground fairly quickly. You don’t have to do all your shopping black, but making one dedicated purchase in one place will make a big difference. Small Steps. Big Results. So, how small is a small step? Next time you need beauty supplies, try to find a BLack-owned beauty supply store first. Nine out of 10 times, the stores usually frequented are owned by a minority group – who owns a shop in our community – but lives somewhere else. They earn substantial revenue in Black communities; if they didn’t, they’d open the shop in their community. You were going to make the purchase anyway. So, why not give the money to a business that needs it and will make a difference?